Backing up your data is not only exciting but is also equally important. Most of us realize its importance only when something unusual happens with our storage device and we lose our data due to unusual reasons. Hard Drive failure is a customary incident and it often comes without any prior notice. If you are still not taking regular backup of your data then its high time you start doing so. It also saves you from threats like RansomWare, WannaCry, Petya and many more. In this post, we bring to you, a list of Best backup software for windows which you can try and take backup of your data. EaseUS is a popular name which comes to our mind when we talk about data recovery. It provides a wide range of utility software for Windows including Todo Backup and comes first in our list of Best backup software for Windows. With the free version of this software, you get 16TB of free storage space with support backup to cloud. It has different backup modes such as Full, Incremental, Differential and Schedule Backup. Todo Backup Supports both MBR and GPT partition disks, UEFI boot, WinPE bootable disk and NAS(Network attached storage). 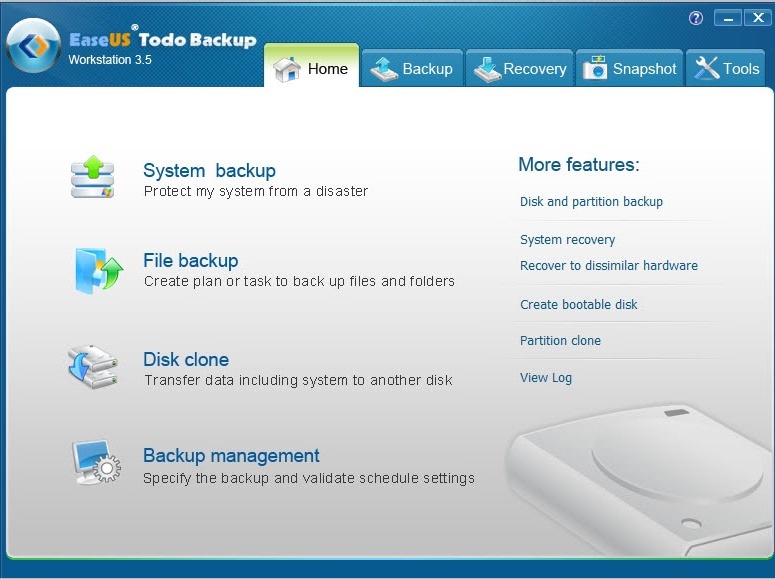 The premium version of EaseUS Todo backup starts from $29 and has features such as Event based Schedule Backup, Outlook email backup & recovery, and Centralized Backup recovery. You can protect your data using Password Protection and stop unauthorized access to your data. 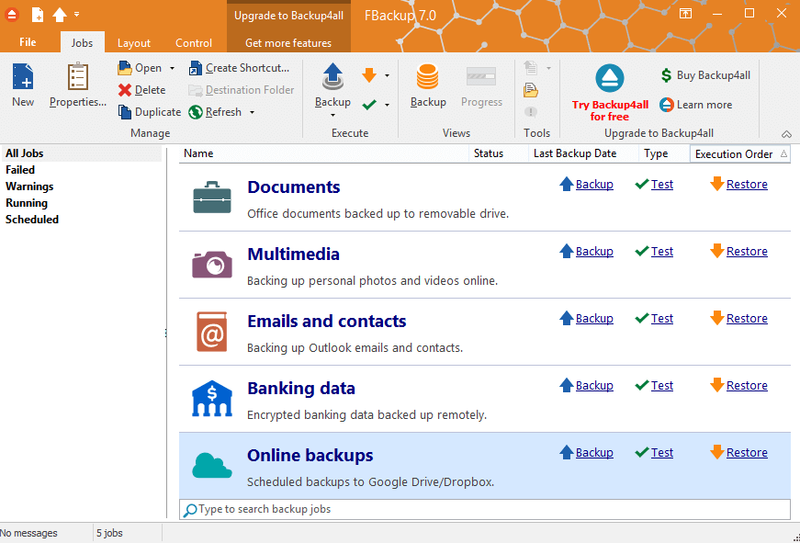 This backup tool from EaseUS lets you back up individual files and folders, whole Drives on your Computer and even Create a full system backup. The smart option automatically takes backup of most frequently used file locations and store them to cloud storage. Gives you the flexibility to configure Directories Settings, Logs, and DB manually. Priorities the task based on priority. Allows you to select days in a week to create incremental as well as a differential backup. Back up multiple locations/ sources at the same time. Backup Data can be compressed to save space. Stored files can be archived to another device, server or any network location. 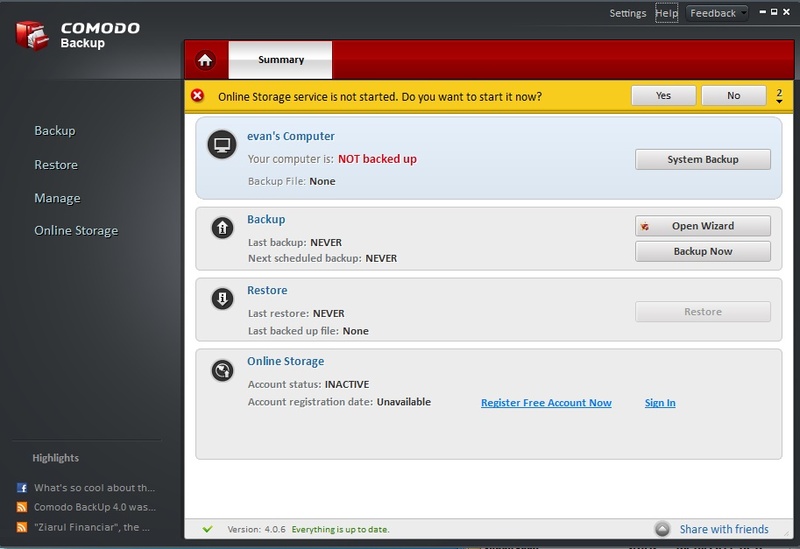 Comodo Backup not only allows you to take backup of your documents and media files, but you can also take backup of your registry Files, e-mail accounts, IM Conversations, browser data, and partitions. You can take back up of data either on a local drive, FTP Storage or at a cloud storage. 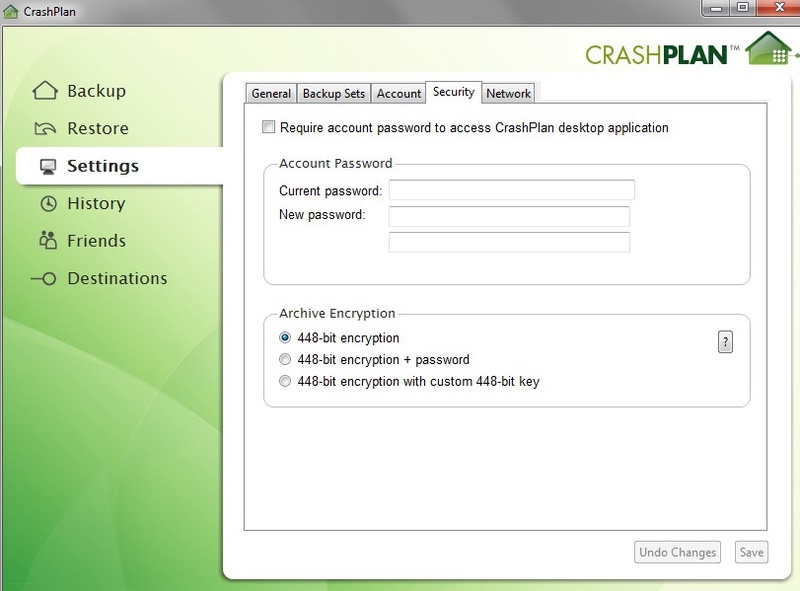 The scheduling options have been made very precise allowing users to take backup daily, monthly, when PC is idle or manually. Restoring files is very easy as you can mount the image file like a disk and browse through the stored files. You can either copy the selected files you wish to restore or you can restore the entire backup image to your local storage. This tool works best with almost all the versions of Windows from Windows XP to Windows 10. The trial offers is free of cost for 90 days with 10 GB of storage space. The paid plans start at $7.99 per month. Highly Secured using 448 bits encryption. No File Explorer and Sharing option. Allows access to Remote Computers. So, this was our List of Best backup software Window. All of these are compatible with all the versions of Windows after Windows XP. Backing up your data is necessary so as to secure your files from data loss. We highly recommend you to start taking backup of your data if you are not doing it yet. Although all the tools mentioned above have their own Pros and Cons, I would suggest you use EaseUS Todo Backup as it is the only software which with loaded features in the Free version. If you have any queries/suggestions for the tools mentioned above, do comment down below. Our Team will get back to you as soon as possible.